MT Ranch is owned and operated by Terry Silva and is located in Redwood Valley, CA. Terry has over 25 year experience training and showing horses in a wide range of disciplines, including trail, showmanship, pleasure, horsemanship and dressage. 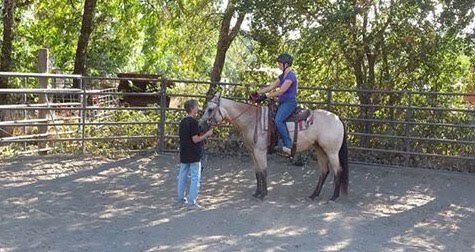 Terry offers lessons and training for all disciplines and levels of riders, as well as judging, clinics and animal care services.